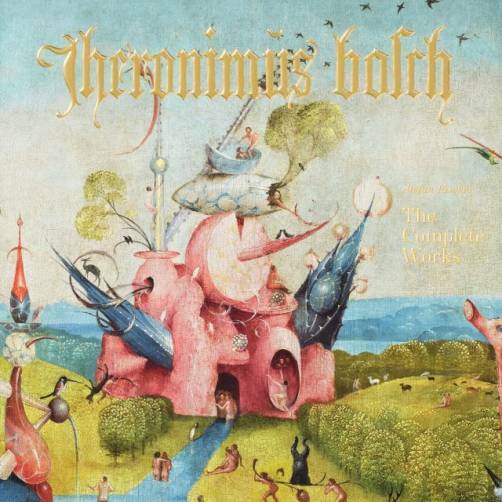 For some, Hieronymus Bosch is the original heavy-metal artist. For others, he was member of a secret, heretical sect of nudists. For Hollywood A-lister and environmental philanthropist, Leonardo DiCaprio, the Netherlandish artist was the perfect gift for Pope Francis. 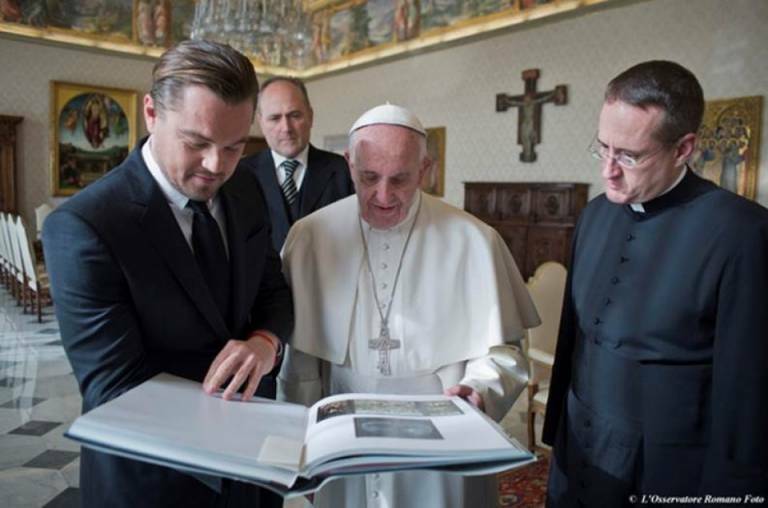 DiCaprio presented His Holiness with TASCHEN’s Hieronymus Bosch monograph at a private audience at the Vatican to discuss their shared concern for the environment. 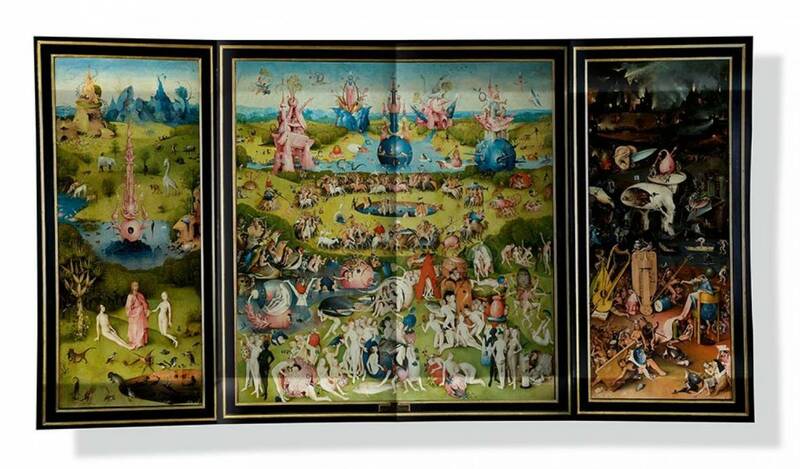 After thanking the Pope in Italian for his welcome, DiCaprio opened the monograph up to show Bosch’s most famous work, the mesmerizing triptych of The Garden of Earthly Delights (c.1503). 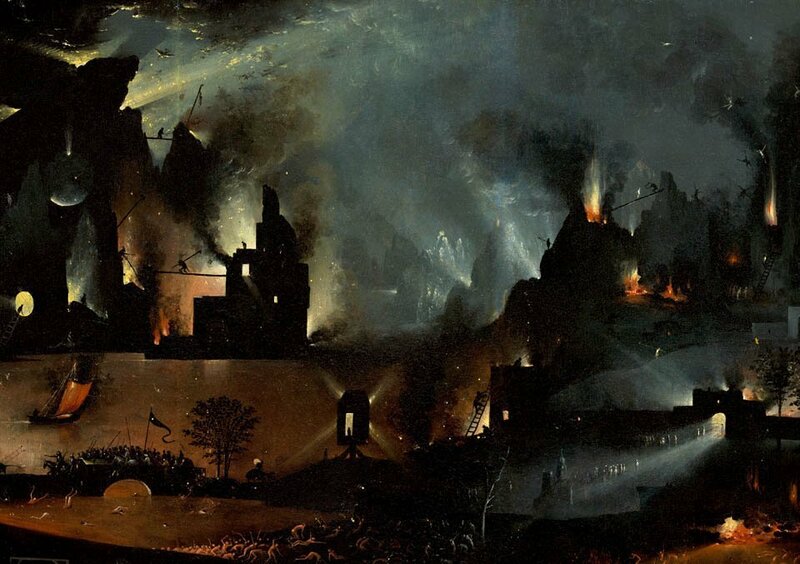 He told the Pope that a reproduction of the painting used to hang above his bed as a child. “As a child I didn’t quite understand what it all meant, but through my child’s eyes it represented a planet, the utopia we had been given, the overpopulation, excesses, and in the third panel we see a blackened sky that represents so much to me of what’s going on in the environment,” he said. 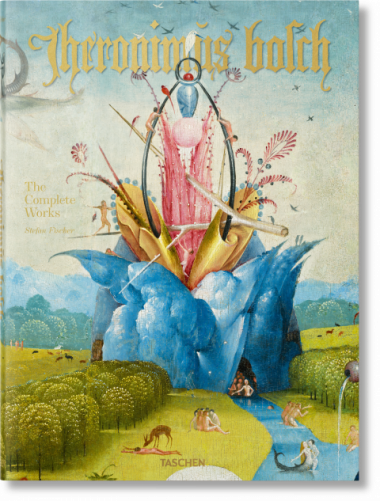 DiCaprio’s striking environmental reading of the triptych testifies to the continued resonance of the medieval painter who left almost no traces of his own life, but in his pictorial world holds viewers in seemingly timeless thrall. Above all in Hell, the right-hand panel of The Garden of Earthly Delights, Bosch gives unforgettable form to apocalyptic fears. In a benighted landscape, he depicts a terrifying perversion of nature, a place fraught with flames and horrifying hybrid creatures, from a bird-beast devouring a naked human, to a pair of ears brandishing a sharpened blade.